Swan is a very clean and easy to custumize One page Parallax Agency Template. If you are a Designer, freelancer, marketer its only for you. 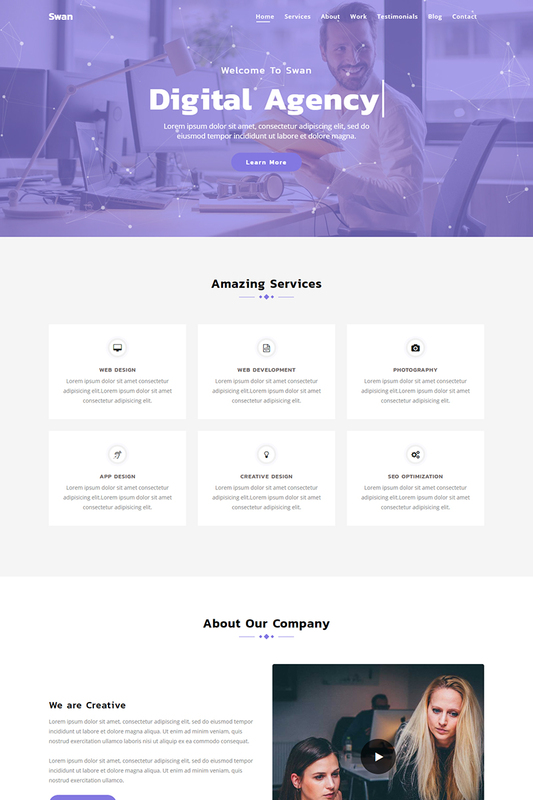 Swan template build on Bootstrap Latest version. Single Site License $22 Under a Single Site License for the template you are granted a non-exclusive non-transferable permission to use the template on a single domain.